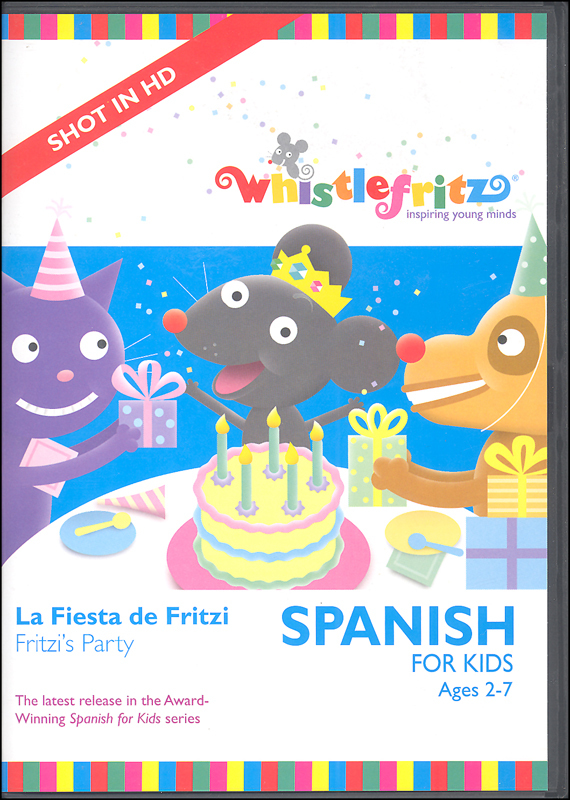 REVIEW: Whistlefritz Spanish DVD's for Kids! 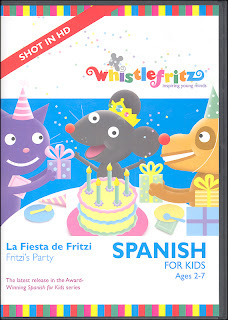 Whistlefritz is a fun way for kids to learn Spanish! I haven't tried the whole program, but I got to show my kids La Fiesta de Fritzi and they loved it. They think the mouse is funny and they really liked the teacher! She talks slow and clearly...I learned some Spanish too. My kids also enjoyed the songs. They are catchy and easy to sing along to. I have tried lots of Spanish DVDs for kids and this one is a new favorite. I usually have the problem of one kid liking it and the other one won't. Whistlefritz is a favorite for them both!! Spanish Immersion Match Cards: Learning Spanish is in the cards with this fun anytime and anywhere memory matching card game. Fifty delightfully-illustrated Spanish action cards give this classic memory game a playful new accent. It's language-learning fun that can't be matched! Spanish for Kids DVDs and CDs have garnered awards and recognition from Learningâ Magazine’s Teachers’ ChoiceSM, iParentingmedia.com, The Parents’ Choice Foundation, The National Parenting Center, Dr. Toy, KIDS FIRST!, The National Parenting Publications Association (NAPPA), Creative Child Magazine and The Dove Foundation. You can find out more about Whistlefritz on Facebook! I received a dvd free of charge in order to complete an honest review. No other compensation was received.